The formulation of sound national policy requires finding the right overarching concepts. Getting the “big ideas” right is particularly important when major developments appear to have invalidated the concepts upon which previous policy and strategy were based — which now appears to be the case in the wake of the Arab Spring. To illustrate this point, I have often noted that the surge that mattered most in Iraq was not the surge of forces. 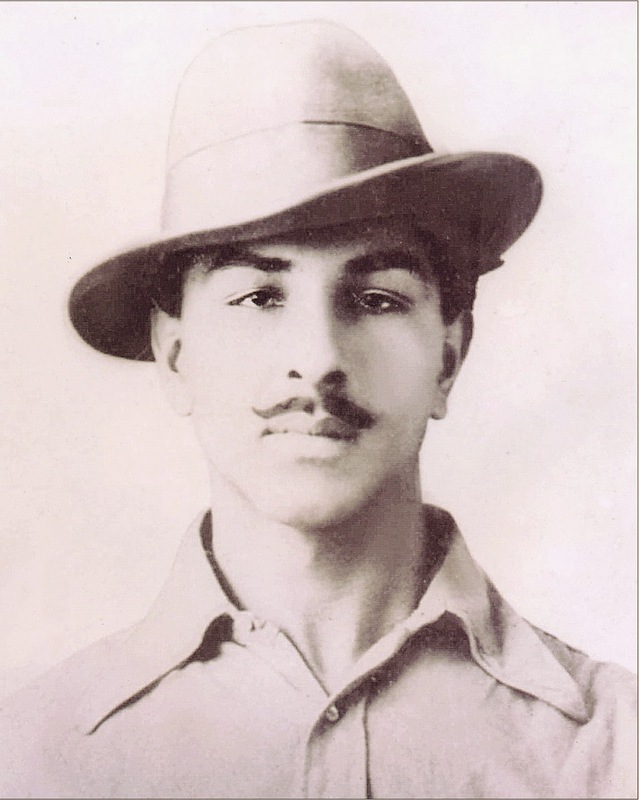 It was the surge of ideas, which guided the strategy that ultimately reduced violence in the country so substantially. ●The decisive terrain was the human terrain — and that securing the people had to be our foremost task. Without progress on that, nothing else would be possible. ●We could secure the people only by living with them, locating our forces in their neighborhoods, rather than consolidating on big bases, as we had been doing the year before the surge. ●We could not kill or capture our way out of the sizable insurgency that plagued Iraq; rather, though killing and capturing were necessary, we needed to reconcile with as many of the insurgent rank and file as was possible. ●We could not clear areas of insurgents and then leave them after handing control off to Iraqi security forces; rather, we had to clear and hold, transitioning to Iraqis only when we achieved a situation that they could sustain. Now, nine tough years later, five big ideas seem to be crystallizing as the lessons we should be taking from developments over the past decade. First, it is increasingly apparent that ungoverned spaces in a region stretching from West Africa through the Middle East and into Central Asia will be exploited by Islamic extremists who want to establish sanctuaries in which they can enforce their extremist version of Islam and from which they can conduct terrorist attacks. Second, it is also apparent that the attacks and other activities of such extremists will not be confined to the areas or regions in which they are located. Rather, as in the case of Syria, the actions of the extremist groups are likely to spew instability, extremism, violence and refugees far beyond their immediate surroundings, posing increasingly difficult challenges for our partners in the region, our European allies and even our homeland. Third, it is also increasingly clear that, in responding to these challenges, U.S. leadership is imperative. If the United States does not lead, it is unlikely that another country will. Moreover, at this point, no group of other countries can collectively approach U.S. capabilities. This does not mean that the United States needs to undertake enormous efforts to counter extremist groups in each case. To the contrary, the United States should do only what is absolutely necessary, and we should do so with as many partners as possible. Churchill was right when he observed, “There is only one thing worse than fighting with allies, and that is fighting without them.” And, if one of those partners wants to walk point — such as France in Mali — we should support it, while recognizing that we still may have to contribute substantially. Kirill Kallinikov / RIA NovostiViktor Zolotov has been appointed to the Security Council, signifying his high-rank within Russia’s siloviki. As is often the case in Russia, the creation of the National Guard was long anticipated, and therefore, caught everyone by surprise. The sheer scale of the restructuring has affected practically every branch of the siloviki. The Interior Ministry will lose most of its muscle: 170,000 interior troops, 50,000 special forces and riot police, private security forces as well as control over private security forces and arms trafficking will all go to the National Guard. In exchange, the Interior Ministry will receive 30,000 Federal Drug Control Service (FSKN) personnel — without generals — and approximately the same number of staff from the Federal Migration Service (FMS). Both services have essentially been disbanded and their directors marginalized. Both Viktor Ivanov — former FDCS head and chief personnel officer for President Vladimir Putin — and Konstantin Romodanovsky — former FMS head, Chekist and major player in the Interior Ministry — are out of the picture. In their place, Viktor Zolotov, who has been guarding Putin since the mid-1990s, has taken center stage. He will head a force that stands somewhere between a super-sized government agency and a 400,000-strong intelligence service. Observers are already explaining that Putin instituted this unprecedented reform as preparation for suppressing the mass protests that will inevitably break out as the socio-economic situation in the country continues to decline. This is partially true, and for that reason the authorities have been steadily adding to the ranks of various riot police and rapid deployment forces. But even more important is the way this reform has changed the balance of power among the Russian elite. In fact, that balance has shifted significantly over the past two years, generally investing more power in the siloviki — particularly the FSB, army and Chechen leader Ramzan Kadyrov, who heads what is essentially a separate siloviki structure in its own right. Now the all-powerful Russian president will have a potent tool at his disposal that answers to no one but himself. It is a personal army unregulated as yet by any law. But this move also levels the balance of power within the siloviki, in much the same way as when Putin transformed the FDCS into a sort of second FSB in the mid-2000s. That put the two intelligence services into competition, making it possible for Putin to rely on either one as the situation demanded, playing each against the other. Oil prices have fallen, and along with them, the strength of the central government. It is as if Russia has returned to the 1990s. And the rise of Viktor Zolotov bears striking parallels to the rise more than 20 years ago of Alexander Korzhakov, chief bodyguard to former-President Boris Yeltsin. When Yeltsin's popularity hit rock bottom, Korzhakov advocated canceling presidential elections. However, he ultimately lost out to former Deputy Prime Minister Anatoly Chubais and his group of reformers who argued that the election process should proceed. While there is little need to cancel presidential elections in 2018, Zolotov remains positioned to keep guard over Putin's revanchist interests. The number of jobs created in eight select industries in 2015 was 135,000. This was much worse than the 421,000 jobs created in 2014 and the 419,000 in 2013. While the years after 2010 were favourable when it comes to job creation, from last year it hasn’t been. Here, when I use the shorthand “jobs” it means both jobs and livelihoods for self-employed people. In the farm sector, most “jobs” are livelihoods. In the non-farm sector too, outside of the organized sector, much of working opportunities come as self-employed livelihoods and not jobs as normally conceived. In the pre-industrial world, higher output and incomes were achieved by the natural growth of the work force, and was therefore limited. That was also the reason why populous regions had higher aggregate output – India, China, Egypt – and were the perennial target of raiders from poorer regions. The Industrial Revolution created a transformation in the productivity of labour aided by machines and education and the reallocation of labour from the farm to the non-farm sector. After the Second World War, former agrarian and colonial economies embarked on the path of industrialization with varying degrees of success. Regions endowed by nature with abundance of minerals and rich agriculture prospered before the Industrial Revolution and afterwards; it helped propel economies like the US. However, material endowments did not always engender economic prosperity; and a lack of it did not foreclose the possibilities of economic growth. The tortured course of many African and Latin American countries rich in resources and poor in social organization was one side of the story. The rise of Japan and later South Korea as manufacturing giants with virtually no mineral wealth at home was the other end of it. Both India and China were slow to industrialize and to urbanize in the first few decades of the post-1950 era. In part the redistribution of farming land away from feudal landlords to the “tiller” or peasantry gave a window to rural populations to stay longer on the farm. The Narendra Modi government appears to have taken two steps forward and one step back with regard to the signing of the 'foundational agreements', which the United States has been pressing for since 2004. One of the three - Logistics Exchange Memorandum Agreement (LEMA) - has been "agreed in principle" during the visit by US Defence Secretary Aston Carter, but for some incomprehensible reason deferred by a "few weeks" or a "few months" for the actual signatures. Typically, the Modi government has not cared to consider public opinion - although this would be a landmark event, since the pact will give the US forces access to Indian military bases, which signifies a great leap forward in independent India's foreign and security policy doctrines. What necessitates this breath-taking leap of faith at the present juncture remains unclear. The previous UPA government had profound reservations about signing the foundational agreements, as they'd erode India's strategic autonomy and adversely affect its independent foreign policies. The LEMA remains an unequal pact insofar as India is not a global power, it does not have an interventionist agenda abroad and has no need to access US military bases for logistics, and, of course, none of the friendly countries with which India holds military exercises ever demanded such pacts as an underpinning of cooperation. The perception will arise in the region and beyond that India has shed its traditional aversion to military alliances and non-aligned policies and proposes to bandwagon with the US. Such a perception does not do India good. Specifically, the perception that India is drifting into an alliance with the US will generate apprehensions in the Russian mind about defence cooperation with India. Russia has been and continues to be the principal source of cutting-edge military technology for the Indian armed forces. Despite the high-sounding rhetoric of the US-Indian Defence Technology and Trade Initiative and 'Make in India', the ground reality is that so far what has happened under these rubrics is, plainly put, zilch. Mr. Carter's visit did not result in a single major project actually taking off. On the other hand, the US has openly sought to get India on board its so-called 'rebalance' in Asia. With a view to countering China's rise, the US proposes to create an alliance system in Asia - an 'Asian NATO' - in which it envisages a pivotal role for India, alongside Japan and Australia. The US game plan is to co-opt India into an alliance system based on the 'interoperability' of the armed forces which of course will demand the use of similar weapon systems. Within the NATO system, what the US ensures is that the 'interoperability' requires extensive use of US-made weapons, which in turn cements Washington's trans-Atlantic leadership role in decision-making on all political and military issues. In the Indian context, a prime US motive will be to erode the Indo-Russian strategic partnership. The 'isolation' of Russia is a major global objective of the US. On the contrary, any atrophying of strategic ties with Russia is fraught with serious consequences for India's long-term interests as an emerging power in a multipolar world order. India has shared interests with Russia within the ambit of BRICS and the Shanghai Cooperation Organisation. Equally, any close identification with the US' rebalance strategy in Asia can create serious complications and distrust between India and China. 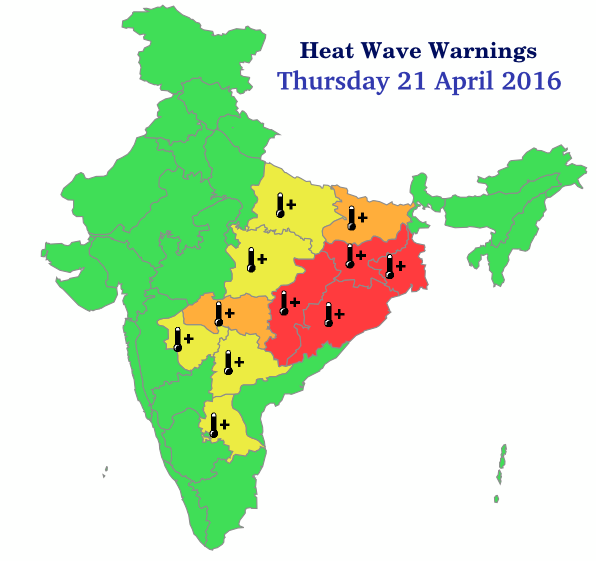 A colourful map prepared by the IMD explains what India can expect this summer. India has a new weather obsession. For decades, if not centuries, the monsoon was all the country paid attention to. Good rains meant a good year and so all weather-watching was focused on spotting clouds. Now there's a new player in town, one with an equally devastating impact: heat. Weather watchers are used to waiting for the Indian Meteorological Department's Long Range Forecast that predicts how good or bad the monsoon will be. For the first time ever, this year, the IMD released a summer forecast predicting "warmer than normal temperatures... in all meteorological sub-divisions" and above normal heatwave conditions in central and northwest India. In addition to its first-ever summer forecast, the Met department also said that it would release regular extended range forecasts, every five days from the start of April. All of this is made available on the IMD website, with the aim of putting out more information that can aid the public. On April 21, the first thing that greets you on this new heat wave section of the IMD site is a daunting image showing heat-wave warnings across what seems like half of the country. The colour-coded map is another novel feature of the IMD's new approach to communicating weather information, one that it intends to use across seasons. These were based on the recommendations of an expert committee of meteorologists, advising the department on how to better communicate weather data. "Based on their intensity and potential impact, rainfall, cold and heat will be signified using red, orange, yellow and green colour-codes," DNAreported. Green suggests no weather warning, yellow asks authorities and citizens to watch and get updates, orange asks them to be alert and red is an official warning asking for action to be taken. This April there has been a lot of yellow, orange and red. But the IMD's hot weather subsite also includes one bit that seems much more heartening: A five-day forecast that suggests by April 24th, there is no impending heatwave warning. Yehudi Menuhin birth centenary: How India shaped the legendary violinist The American-born musician made a memorable visit to India in 1952. Things weren't the same after that. It is an image that sticks in the memory. 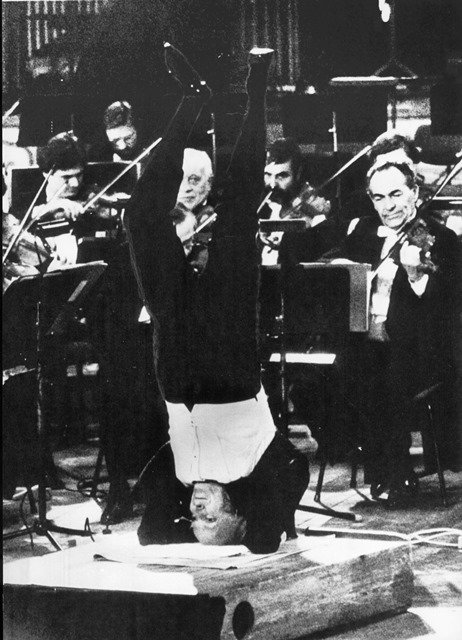 Yehudi Menuhin, one of the greatest 20th century violinists, is upside down in a yoga headstand before a stageful of musicians of the Berlin Philharmonic. As the ensemble plays the opening of Beethoven’s Fifth Symphony, the maestro conducts it with his impeccably shoed feet – a downbeat signalled by opened feet. The image, taken in 1982, crystallised the Indomania of the American-born Menhuin who would have turned 100 this April 22. For a good part of his life, the violinist, conductor, humanitarian and pacifist was captivated by Indian music and yoga.Credit: AFP. His first encounters with the East had come early in his life. His teacher, the Romanian violinist-composer George Enescu, had taken a young Menuhin to the Exposition Coloniale in Paris in 1931 to hear the gamelan, the traditional ensemble music of Bali that Enescu was deeply interested in. India first appeared on Menuhin’s horizon around two decades later. In 1952, the Indian government invited Menuhin to offer a series of concerts in the nation’s principal cities – Delhi, Bombay, Bangalore, Madras and Calcutta – with the proceeds going to the Prime Minister’s National Relief Fund. Many of these concerts were performed in cinema halls, such as the Regal and Excelsior in Bombay, and the New Empire in Calcutta. In Bombay, the concerts included a veritable who’s who of music in India: it had Mehli Mehta (father of conductor Zubin Mehta) as concertmaster. The violins included, in order of mention in the programme, Sebastian Vaz, Adrian de Mello, Mauro Alphonso, Siloo Panthaky, Josic Menzies, Oscar Pereira and Keki Mehta. Among the violas was Terence Fernandes (who, with Vere da Silva, Keki Mehta and George Lester formed the Dorian string quartet, apparently Bombay’s first string quartet). The celli had, in addition to George Lester, Antonio Sequeira, who later taught cello at the Academia da Música (today the Kala Academy) in Goa. Mickey Correa headed the list of clarinets. There’s anxiety in the Indian strategic community that India is about to embrace the US strategically and get locked in an anti-China alliance — without adequate debate. This anxiety is fuelled by three mistaken factors. First, the lack of reading of China’s Defence White Paper of 2015, wherein the debate between the continentalists and the maritime people has been settled in favour of the maritime lobby. China is going to become a maritime power in the “far seas” — the Indian Ocean. Second, “One belt one road” is the larger plan to change the geopolitics of the Indian Ocean to support the permanent presence of a Chinese fleet. It’s admittedly a long-term plan. Third, the Chinese are going full speed to get Gwadar and Djibouti ready for the PLA Navy in the Indian Ocean. The game is already on. The only decision left for the Indian strategic community is to resolve what the game is and which side they are playing. This is important, for there are still analysts who think the game is in the South China Sea and the Indian navy is required to play a supporting role in ensuring freedom of navigation. There are probably some American analysts who mistakenly think alike. Make no mistake — the next big game is in the Indian Ocean, through which passes 65 per cent of all Chinese trade, particularly hydrocarbons. The scenario in the South China Sea or the “near seas” is a competition between China and America-Japan. This competition will be decided by technology, anti-carrier strategy and air-sea battle backed by hypersonic aircraft. Indians can contribute very little. On the other hand, the Indian Ocean and, particularly, the Malacca Straits are China’s jugular. In surface combatants, the Indian navy will outnumber the Chinese taskforce 2:1, outnumber the maritime patrol aircraft 2:1, be superior in strategic anti-submarine warfare and satellite communication infrastructure. 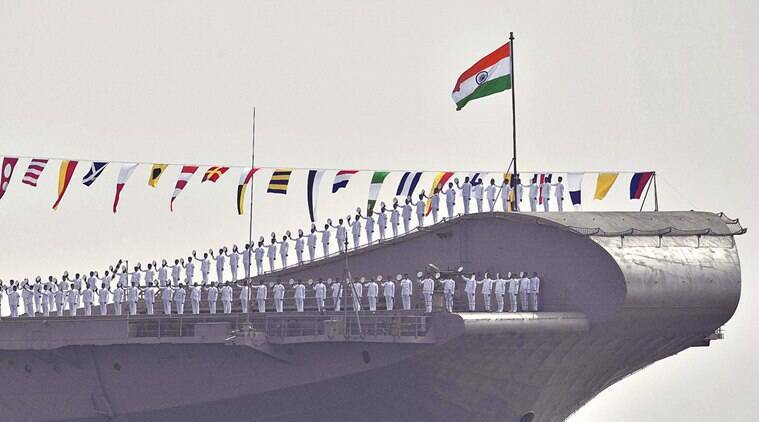 Why, then, should the Indian navy venture into the South China Sea? If the Chinese pressure the Sino-Indian border, India could put the squeeze in the Indian Ocean. In the next decade or two, the Indian navy will be assisted in maintaining tactical air superiority by the INS Vishal, with its heavy fighter aircraft and electromagnetic catapult. So where do our interests lie? The answer lies in ensuring China rises peacefully. And there’s nothing more likely to ensure a peaceful Chinese rise than the ability to squeeze the Malacca jugular as a strategic threat. Admittedly, we needn’t stand alone. We need allies and technological help. We must be seen to be strong by the Indian Ocean powers who will be swayed by the Chinese economy and concessional trade into providing bases to China. Beijing mustn’t be allowed to change its disadvantageous geography. China is a Pacific Ocean power. India is the Indian Ocean power. Changing unfavourable geography in pursuit of maritime power is an old strategy suggested by German strategist Wolfgang Wegener. Early signals are already there from the US Naval War College that the Chinese are reading Wegener. But we can read Wegener just as well. Afghanistan intelligence believes that the Taliban is holding meetings in the Pakistani sanctuary (mainly in Quetta just across the border from Kandahar province). It is also believed that the Haqqani Network, a largely Afghan Islamic terrorist group that has long been on the Pakistani payroll, has used its connection in the Taliban to help patch up the Taliban civil war over who should replace deceased leader Mullah Omar. Current Taliban supreme leader Mullah Akhtar Mansour was shot and wounded during a December 2015 meeting with dissident Taliban. He recovered and kept negotiating. It was Mansour who, for two years, hid the fact that founding leader Mullah Omar had died in a Pakistani hospital in 2013. This leads many Afghans to wonder if you can trust the Taliban if the Taliban don’t trust each other. But Mansour had been Omar’s chief deputy for many years and knew his way around the organization as well as traditional allies like the Haqqani clan. . The Haqqani Network is a group of Islamic terrorists operating in the Pushtun tribal areas along the Afghan border. Founder Jalaluddin Haqqani was a major player during the 1980s battle with the Russian occupation of Afghanistan. He joined the Taliban in 1995, and became a senior official. But after 2001 he gradually grew apart from Taliban leader Mullah Omar. The Haqqani Network has survived by being an ally of Pakistan. That means no terror attacks in Pakistan and, when called on, carrying out specific attacks that Pakistani intelligence (ISI) wants. Jalaluddin Haqqani died in 2o14 and his successor continued to cooperate with the Taliban and maintain subservience to ISI. Because Jalaluddin Haqqani helped Mullah Omar and other Taliban leaders escape Afghanistan in 2001 there has always been a sense of mutual dependence. For that reason Haqqani leaders were able to help fix the current power struggle within the Taliban and thwart the recruiting efforts of ISIL (Islamic State in Iraq and the Levant) . Given that Haqqani works for ISI, Pakistan is believed to have played a role in this peace making effort. The Afghan government protested to Pakistan about this but, as usual, Pakistan insisted it had nothing to do with Haqqani, the Taliban or supporting Islamic terrorism of any kind. The Taliban reconciliation deal appears to have involved appointing a brother and son of Mullah Omar to senior positions in the Taliban and accepting back six Taliban leaders (and many of their followers) who had gone over to ISIL but now regretted it (because of extreme violence and most Afghans hating ISIL) and wished to return without any penalty. Deals like this are common in Afghanistan and have been for centuries. All you need is the right people to handle the negotiations. With Mullah Akhtar Mansour clearly in power he is implementing some policies his predecessor Mullah Omar opposed or was not enthusiastic about. This includes no interest at all in peace talks with the Afghan government and active support for al Qaeda. This was triggered by the 2014 al Qaeda announcement that it was expanding in the region and establishing AQIS (al Qaida in the Indian Subcontinent). It was believed al Qaeda would set up shop in Pakistan, which still hosts Islamic terrorist groups that specialize in attacks on India. That did not work out and it was believed that the several hundred al Qaeda known to have been driven from North Waziristan to eastern Afghanistan in late 2014 had stayed there. Some of them had, but most had quietly moved south to Kandahar and took control (with the help of sympathetic local Taliban and tribesmen) of a large area in which to train. It is also believed that AQIS planned to share thus facility with the local Taliban, especially since AQIS and the Taliban are both battling ISIL. Al Qaeda knew enough to camouflage their presence so that aerial reconnaissance would not spot it quickly. There is so much outlaw activity (drug gangs, Taliban, smugglers) in Kandahar they thought they would go unnoticed. Such was not the case and the surprise army attack in late 2015 killed over 150 AQIS members while capturing and wounding even more. Lots of documents were captured and Afghanistan suddenly became a lot more dangerous for AQIS. As long as AQIS pays its own way Mansour will allow AQIS to keep trying. The advisory effort was circumscribed by location, unit, and function. Lack of advisers at the operational level in Iraq and lack of support to Syrian opposition fighters limited effectiveness of indigenous forces. The training effort was also limited: Some 20,000 Iraqi army and Peshmerga forces were trained in 18 months, including 2,000 Iraqi special operations personnel. Efforts to arm and train Sunni tribes were halting. Iraqi's military crumbled after the 2014 ISIL offensive due to cumulative weaknesses. Iraq's Counter Terrorism Service carried the brunt of the fighting, suffering extensive casualties and materiel losses. Shia militias, some of them advised and supported by Iran, were not integrated with the overall military effort. Effective command and control of the overall effort was lacking. In Syria, most territory was retaken by the Syrian Kurdish militia, and other efforts such as the New Syrian Forces were inadequate in numbers and capability. Coordination was also lacking among Syrian forces. The Iraqi government under Prime Minister Haider al-Abadi articulated proposals to address Sunni concerns, but insufficient Shia support was provided to implement them. U.S. senior-level engagement with Abadi was also limited. No overarching Syria strategy was developed. Relying on Syrian Kurds has escalated tensions with Turkey dramatically and created concern among Syrian Arabs. More comprehensive advisory support from senior echelons through the brigade level to increase coordination of forces, morale, and leadership. A long-term training and equipping effort will be required to create capable indigenous security forces that incorporate sufficient Sunnis. The successful support to Iraq's Counter Terrorism Service provides a replicable model. An unconventional warfare approach may regain Mosul and Raqqa from ISIL with less material damage by leveraging internal discontent and underground forces. Syria's counter-ISIL effort cannot succeed in seizing and holding key terrain without Syrian Arabs; their support may require unified effort with the counter-Assad campaign. Increased materiel aid to anti-Assad forces including tube-launched, optically tracked, wireless guided weapon systems and surface-to-air missiles may preserve the moderate opposition and create leverage in negotiating a transition under the Geneva terms. The Abadi government and Shia parties should craft proposals with international support to resolve the political drivers of conflict in Iraq. Visible, high-level U.S. support to such detailed political proposals may include linkage with military support. The United States should elevate its focus on advisory support to indigenous forces, not just eliminating ISIL leadership and resources. It should, above all, prioritize the political line of effort, backed by military measures. Syrian opposition fighters may become increasingly radicalized in the absence of greater U.S. commitment and coordination. U.S. allies have backed disparate opposition groups, increasing the fragmentation and ineffectiveness of the Syrian opposition. Each year, the website Global Firepower ranks countries in what they call the “global firepower index,” a ranking of the world’s 126 most powerful militaries. The index uses a 50-point algorithm to determine a nation’s military power. Their system focuses on the diversity of weapons systems and provides bonuses and penalties for things like nuclear arms, diversity of force structures, and alliances (like NATO). The formula is interesting because it makes a smaller but more technologically advanced country competitive with larger militaries from less advanced countries. Is anyone really surprised by this? The U.S. may not top manpower, but they do beat all in land systems. airpower, and naval force, along with a host of other factors, like logistics. Russia is first in terms of geographical land mass, which is important for defensive wars, especially when it comes to external invaders. Aside from leading in manpower, the Chinese also have trillions in foreign currency reserves and purchasing power. Indian army infantry vehicles move onto the firing range at Camp Bundela, India Oct. 26, 2009. Unfortunately for India’s chief rival Pakistan, India is the fourth most powerful force on the planet, while the Pakistanis sit at #13. There are other indicators that the Department of Defense will need to pay more attention to ground combat vehicles. Israel defeated Hamas in 2014 with a joint force that included a large number of Merkava tanks with active protection, heavy armored personnel carriers and other combat vehicles. Germany which reduced its Leopard 2 tank fleet from over 2,100 at the height of the Cold War to around 225 a few years ago is planning to buy back 100. A good start. The U.S. Army in Europe is bringing back to the Continent a full heavy brigade combat team. When it comes to deterring a high-end conventional adversary, it appears that there is no substitute for treads (and wheels) on the ground, so to speak. Recognizing that ground combat is back, but lacking the resources to fully modernize its platforms, the U.S. Army and Marine Corps are pursuing a smart modernization strategy. They are attempting to address their most serious gaps with what little money is available. This strategy has several key elements. The 50th anniversary of the Cultural Revolution will pass in silence if China’s leaders have their way. The People’s Republic of China is run by people who like to celebrate anniversaries. The marking of the centenary of the foundation of the Communist Party in 2021–despite not happening for another five years–in some senses has already started, enshrined in the centennial goals that Xi Jinping and his colleagues have been heralding for the last year or so. Anniversaries for the start of reform (40 years in 2018), the 40th anniversary of the death of Mao Zedong (September this year), and a dozen other large and small things litter the calendar of leaders, taking up a surprising amount of their time through attendance at commemorative events. This proclivity to hold a large event to mark important occasions means the likely universal silence in China around the moment in mid-May when most agree the Great Proletarian Cultural Revolution was formally launched half a century ago is all the more striking. The largest of all the mass campaigns inspired by Mao Zedong, it was, in his own words, his greatest achievement after leading the Communists to victory against the Japanese and the KMT. Mao even suggested close to his death that Cultural Revolutions needed to occur continuously, and be repeated every few decades or so. How can China’s leaders say, as they often do, that they regard Mao as a great leader, and yet not acknowledge an event he himself saw as a core part of his historic legacy? The recently published translation of Sanskrit scholar Ji Xianlin’s memoirs over the Cultural Revolution period helps perhaps explain some of the leadership’s reluctance to dwell too much on the events of the late 1960s. The Cowshed describes Ji’s fate when he crossed swords with radicals at Peking University. It is a terse account, which makes the descriptions of struggle sessions endured by targets of the campaign all the more effective. Even the rats in the makeshift prisons housing those deemed class enemies grew emboldened against the Cultural Revolution victims, brazenly stealing their food. “Perhaps even the rats had realized that the building was inhabited not by ordinary human beings but by blackguards whom they could bully if they felt like it,” Ji acidly remarks. The Cultural Revolution fascinates outsiders even today, probably because its grim theater and dynamics were so unique. Stalin had brutal show trials, and other dictators had vicious purges. But a movement seemingly passionately prosecuted by so many millions of people is hard to find external parallels to. It seems more like mass hysteria than a mass movement, but one which had very distinctive Chinese cultural characteristics and coordinates. Mao may well have wanted to promote revolutionary struggle abroad at the time, but even the Soviet Union and other Communist counties looked on with bewilderment at what was happening in China, so sui generis did it seem. Key Take-Away: The Iraqi Security Forces (ISF) and tribal fighters with Coalition air support recaptured Hit District on April 14 as part of an ongoing operation to remove ISIS from the Euphrates River Valley. Security forces began operations to connect Ramadi to Hit District on March 12 and quickly recaptured Kubaisah, west of Hit, onMarch 25. From there, the ISF attacked Hit from the north and west, breaching the center of Hit on April 7 and securing the district on April 14. The ISF will now work to connect Hit with al-Baghdadi Sub-District, north of Hit, along the Euphrates River by securing control over the remainder of the Haditha-Baghdad highway. Doing so will grant the ISF control over the Euphrates River Valley from Haditha to Ramadi. 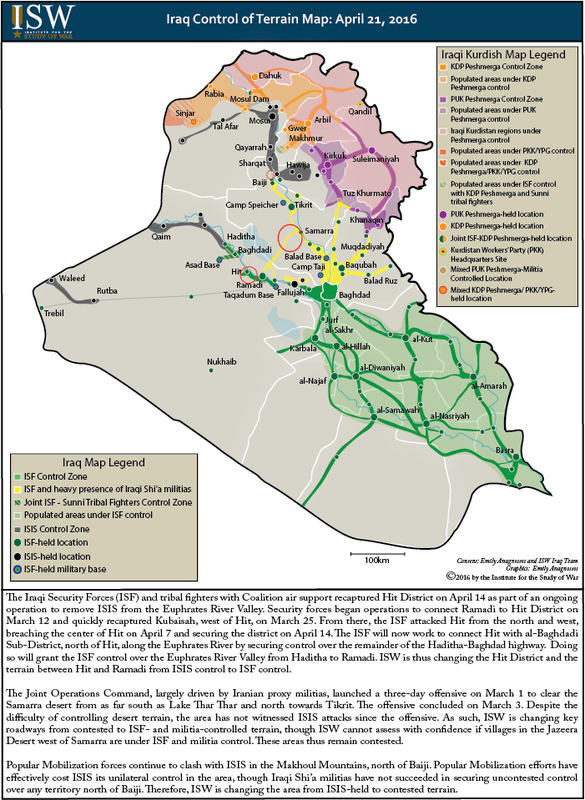 ISW is thus changing the Hit District and the terrain between Hit and Ramadi from ISIS control to ISF control. Popular Mobilization forces continue to clash with ISIS in the Makhoul Mountains, north of Baiji. Popular Mobilization efforts have effectively cost ISIS its unilateral control in the area, though Iraqi Shi'a militias have not succeeded in securing uncontested control over any territory north of Baiji. Therefore, ISW is changing the area from ISIS-held to contested terrain. Russia’s latest military moves in Syria have sharpened divisions within the U.S. administration over whether Russian President Vladimir Putin genuinely backs a U.N.-led initiative to end the civil war or is using the negotiations to mask renewed military support for Syrian President Bashar Assad. Russia has repositioned artillery near the disputed city of Aleppo, several U.S. officials told Reuters. Despite withdrawing some fixed-wing aircraft in March, Russia has also bolstered its forces in Syria with advanced helicopter gunships, and renewed airstrikes against moderate opposition groups, said U.S. officials, speaking on condition of anonymity. The Russian reassertion of military backing has prompted some U.S. officials to warn that a failure to respond would be seen by Moscow as a fresh sign of American timidity. That, they say, could encourage Russia to escalate challenges to U.S. and allied militaries through more provocative Russian air and naval maneuvers. They also contend that a U.S. failure to respond would further damage Washington’s relations with Saudi Arabia and other Gulf states seeking to oust Assad, and with Turkey, which has been firing artillery at Islamic State targets in Syria. The answer, they argue, is stepped-up U.S. support for moderate Syrian rebel factions with more anti-tank missiles and grenade launchers sent through third countries. However, other officials, including National Security Advisor Susan Rice, have vetoed any significant escalation of U.S. involvement in Syria, the officials said. “Rice is the fly in the ointment,” said a person familiar with the internal debate. Obama himself has long been reluctant to deepen U.S. involvement in the war, saying last October that Washington would not get drawn into a “proxy war” with Moscow. His administration has focused more on pressing the fight against the militant Islamic State group, which controls a swathe of northeastern Syria. The White House declined comment about any internal debate on Syria or Putin’s intentions. The United States and other Western nations have struggled to read Putin’s intentions ever since Russian forces launched a surprise deployment in support of Assad last September. The key question is whether Ukrainians themselves can overcome the chief impediment to reform – the capture of the state by a narrow class of wealthy business people and their associates. Ukrainians showed impressive resilience in 2014 in the face of revolution and Russian aggression that led to war. With strong Western support, the new government was able to stabilize Ukraine’s perilous financial situation and start a reform effort designed to shift the country onto a European path of development. Inevitably, it did not take long for the revolutionary zeal of the ‘Maidan’ to collide with Ukraine’s deeply embedded problems of governance. These slowed the momentum of reforms in 2015, leading to the breakdown of the ruling coalition in early 2016. It is easy to characterize Ukraine’s latest attempt to reform as a repeat of the unrealized potential of the 2004 Orange Revolution. This view is premature and disregards the fact that Ukraine has changed significantly since then. The country today has a much stronger sense of independent identity, symbolized by its rapidly developing civil society. The external environment is also markedly different. Moscow’s break with Europe and its efforts to compel Ukraine to be part of a Russian sphere of influence have finally forced Ukrainian elites to make a choice between modernization on a Russian or a European model. Fearful of the danger of Ukraine’s destabilization, Western countries are also showing an unprecedented level of support for its reform efforts. These external factors will not alone determine whether Ukraine’s reforms will reach a critical mass. The key question is whether Ukrainians themselves can find the will and the means to overcome the chief impediment to reform – the capture of the state by a narrow class of wealthy business people and their associates. Ukraine’s weak institutions and its experience of 25 years of misrule since independence place an extraordinary burden on reformist forces. The pressures driving reform at present marginally outweigh those impeding them. However, the struggle of the ‘new’ against the ‘old’ is playing itself out slowly and painfully, making it impossible to judge definitively at this point whether Ukraine’s reforms are destined to succeed or fail. Research Paper: Can Ukraine Achieve a Reform Breakthrough? After raising $25 million in additional funding in October, civic technology specialistOpenGov — the startup co-founded by Palantir’s Joe Lonsdale that works with government organizations to collate, analyse and publicly present financial and other data — todayannounced its first acquisition. To expand the services and kinds of data on offer to current and future customers, the startup has acquired Ontodia, a developer of Open Data solutions based on CKAN. CKAN is an open-source data portal used by governments and other public organizations globally, used for sites like Data.gov. Three services that will be added as a result of the deal are Managed Open Data using CKAN, publicly-available CivicDashboards (a massive data repository that includes U.S. Census data, maps, Department of Labor stats, and a whole lot more), and customized performance dashboards. This is significant because up to now, the basis of the bulk of data that OpenGov worked with came directly from the organizations themselves. This will help them contextualise and query that data much better. Terms of the deal were not disclosed (but we have contacted OpenGov to see if we can find out). Ontodia has been around since 2011 and worked with a number of big-name clients, including the city of Newark, Darpa, Rutgers University, and divisions of the United Nations. It had raised a modest $350,000 from angels, according to CrunchBase. OpenGov says that Ontodia co-founders Joel Natividad and Sami Baig, as well as the rest of the Ontodia team, will join OpenGov, working out of its NYC office. Ontodia’s founders were some of the early contributors to CKAN, and the idea here will be to add their expertise to OpenGov. It will also create a new channel to make it easier for organizations already building data solutions on CKAN to become customers of OpenGov for a wider range of services. “By adding a flexible, open source, Open Data platform and service to our quickly expanding portfolio of government financial solutions, we are getting one step closer to realizing our vision of transforming how governments analyze, share, compare, and allocate public money and to improve how the world’s most important industry serves us all,” said Zachary Bookman, CEO and co-founder of OpenGov, in a statement. OpenGov was built around the idea that the rise of the Internet and a freer flow of data will inevitably lead to more accountability from public organizations in terms of how they share information and also what exactly they are doing with taxpayers’ money. In a way, OpenData is addressing data issues for the some of the same kinds of customers that Palantir does, but from a different direction: it’s offering ways to harness and present data for those on the more public-facing side of these organizations. Today, OpenGov works with some 1,000 governments in 45 states, and Ontodia will help widen that funnel both in the U.S. as well as further afield. 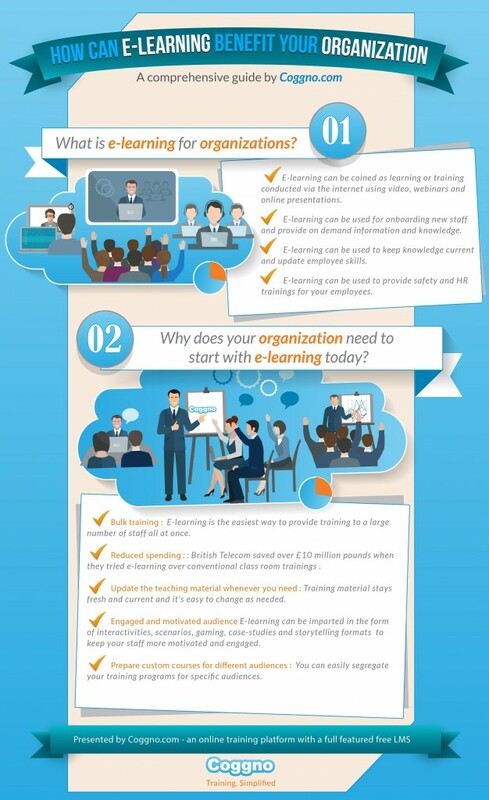 E-learning simply means learning via internet, videos, webinars or online presentations. Unlike classroom programs, your instructor might not be present physically but can assist you virtually. The battle for the future of computing is a battle to bring artificial intelligence to the mainstream – and Google is quietly overhauling a machine learning tool used to improve some of its most popular services including Google Translate andGoogle Photos. TensorFlow can be used to help teach computers how to process data in ways similar to how the human brain handles information. It is also open source, meaning Google has published and shared the code online so that external developers can use and improve it. The latest version, released by Google on Wednesday, adds a feature many TensorFlow users have asked for since the tool made its public debut in late 2015: the ability to operate on multiple devices. Instead of being limited by the processing capabilities of a single computer, it can use distributed networks to handle more complicated tasks – as if TensorFlow will now be able to use many brain cells instead of being confined to just one. TensorFlow was developed to improve many of the services Google users interact with on a regular basis. It has taught the translation app to understand more of language’s idiosyncrasies, allowed the photos tool to identify many of the subjects in the images uploaded to its servers and made it easier for Google’s mobile apps to understand what people are saying when giving verbal instructions to its search engine. Humans already excel at those tasks. Most people can tell a cat from a dog, think beyond literal translations and follow a conversation as they walk along a crowded street. The human brain simply knows how to do those things. Has State-Sponsored Hacking Lost Its Luster in China? One of the most surprising recent moments in U.S.-China relations arrived last September in Washington D.C. when Barack Obama and Chinese President Xi Jinping told reporters they’d reached a deal to end state-supported hacking of corporate records for economic benefit. Why would China agree to give up an activity that appeared to have been a crucial part of its economic strategy? Based on recent observations of Chinese hacking activity and the country’s recent economic plans, analysts at U.S.-based cybersecurity firm FireEye have a provocative theory: that Mr. Xi accepted the pact in part because Chinese officials had already begun to sour on conventional cybertheft. The basis for the theory, says William Glass, a threat intelligence analyst at FireEye, is the economic vision outlined in China’s recently released 13th Five-Year Plan and other development blueprints. Those plans call for China to evolve beyond being the world’s factory by building up advanced industries like artificial intelligence, biotechnology and online services that require a high-level of human skill and creativity in addition to technology. Mr. Glass’s hypothesis comes amid feverish Chinese M&A activity and increased pressure on foreign companies in China to cooperate with local partners in exchange for market access. The total value of Chinese-led purchases of U.S. companies hit $23 billion by mid-February this year, breaking the full-year record of $20.5 billion set in 2015. Those figures don’t count failed deals, like a rejected Chinese bid for Fairchild Semiconductor, or cooperative projects involving the likes of IBM and Qualcomm. And while the picture is still murky, some government officials and security firms say Chinese state-sponsored hacking groups — also known as advanced persistent threat, or APT, groups — have cut back their activities. U.S. Director of National Intelligence James Clapper told Congress in March there had been “some reduction” in Chinese hacking. FireEye, meanwhile, says that none of the 22 Chinese APT groups it tracks are actively attacking U.S. companies. Many analysts believe Mr. Xi agreed to last September’s deal because he was spooked by the threat of U.S. sanctions against Chinese companies that have benefited from cybertheft. That doesn’t necessarily conflict with Mr. Glass’s theory. If Beijing sees fewer benefits from hacking, then it would be even less willing to face the risk of sanctions. None of this means Chinese hacking will stop, Mr. Glass says: Instead, hackers might instead start stealing financial and other information that could help companies in M&A negotiations. In the past several years, FireEye tracked China-based hacking efforts aimed at two companies that were reportedly talking about a merger, he says. The security firm also discovered Chinese hacking activity at a company where executive emails, financial statements and insurance policies were stolen. In the latter case, Mr. Glass says, an acquisition eventually was completed, “though we do not know the impact the stolen material had on the merger decision-making.” He didn’t identify the companies or where they were located. The theory has its skeptics. With Chinese economic growth slowing, it’s reasonable to assume state-sponsored hackers would want to grab as much intellectual property as they can, not just deal-related information, says Adam Segal, an expert on China and cybersecurity at the Council on Foreign Relations. Hacking for M&A would also require a high-level of understanding of markets on the part both of those directing the attacks and the operators rummaging around inside a company’s systems, according to Mr. Segal. “Maybe there are lots of unemployed MBAs now working for the People’s Liberation Army, but wouldn’t that be something the intelligence community could track?” he says. FireEye has reported disappointing earnings in recent quarters — a result it has blamed on improved relations between China and the U.S.
On Tuesday, the company announced the launch of a new “rapid service” for M&A deals that, according to a press release, can help companies assess “the level of cyber security risk present in the acquisition that could drive decisions.” A FireEye spokesman said the company has seen M&A-related attacks for some time, including from an English-speaking group it identified targeting Wall Street in 2014. James Hasik is a Nonresident Senior Fellow for Defense in the Brent Scowcroft Center on International Security at the Atlantic Council. Fears of slipping dominance are driving an American push for military innovation. But while the accomplishments of American industry are enviable, not all innovation is grounded in technology or flows from the private sector. The U.S. Armed Forces have a considerable history with internally driven innovation, and today a new class of innovators is emerging within the Services. These public entrepreneurs watch for opportunities, make decisions under uncertainty, and then meld the factors of change in sticky (that is, locally commercialized) ways. Their entrepreneurship sometimes falters, as the controlling tendencies and vested interests of the bureaucratic apparatus resist. Defense entrepreneurs must overcome greater barriers than those faced by private entrepreneurs, but policymakers could speed their progress by building the right organizational models in staffing, structures, and incentives. Dr. F.G. Hoffman is a Senior Research Fellow in the Center for Strategic Research, Institute for National Strategic Studies, at the National Defense University. Writing in his seminal The British Way in Counter-Insurgency, David French concluded that the United Kingdom had created a “chequered history of gathering, analyzing, and disseminating the lessons” from its irregular campaigns. This conclusion contrasts with Dr. John Nagl’s case study of Britain’s superior organizational learning in Malaya in his Eating Soup with a Knife. Both books focused on Britain’s imperial past. More recently, veterans from the United Kingdom’s campaigns in Iraq and Afghanistan have sided with French, stating that “despite our institutional [counterinsurgency] heritage,” the study of small wars “[has been] relegated to a position of almost complete institutional irrelevance.”1 This is now reinforced by a new assessment of British operations, Counterinsurgency in Crisis, which argues that Her Majesty’s armed forces overestimated the relevance of their past imperial policing to contemporary challenges. The United Kingdom’s poor showing in Iraq and Afghanistan is multidimensional. One shortfall identified by the authors was the existence of a smug perception that British forces were uniquely qualified in counterinsurgency because of the United Kingdom’s extensive experience in Africa and the Middle East, peace support tasks in the Balkans, and of course, Northern Ireland. Much of that experience was dated and certainly not well represented in British doctrine or military education. Ucko and Egnell found that this unique heritage retarded learning and adaptation, further degrading performance. This will not be news to informed students of British security matters. British generals, including Lieutenant General Paul Newton, who now heads the Center for Strategy and Security at Exeter University, have argued quite openly that the strategy flame is unlit in London. Former Chief of the Defence Staff Air Chief Marshal Sir Jock Stirrup decried the loss of “an institutional capacity for and culture of strategic thought.”2 After considering the past decade, looking at the prospects of a security environment laced with instability and complex contingencies similar to the last decade, Ucko and Egnell conclude their book with an ominous assessment of current British capability.